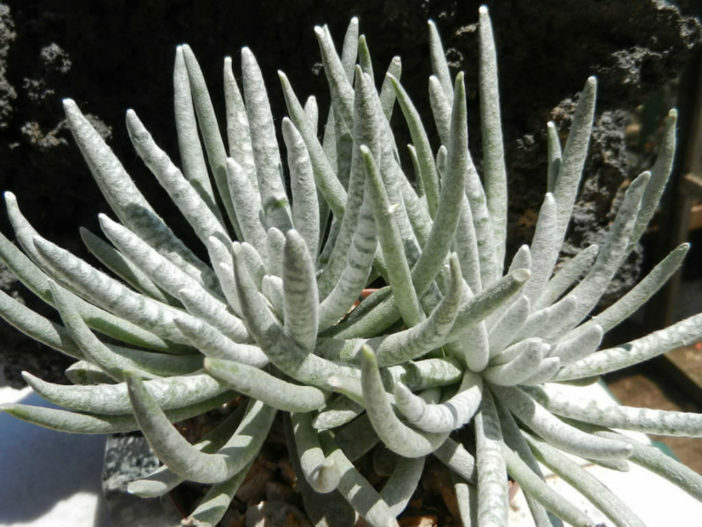 Senecio scaposus is a small, stemless or nearly stemless, succulent plant, up to 12 inches (30 cm) tall, with up to 4 inches (10 cm) long, fleshy, banana-shaped, bright silvery-white leaves that angle upward in tufts. 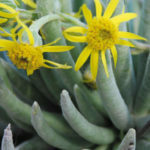 The flowers are showy, yellow, daisy-like, up to 1.4 inches (3.5 cm) across and appear in summer. 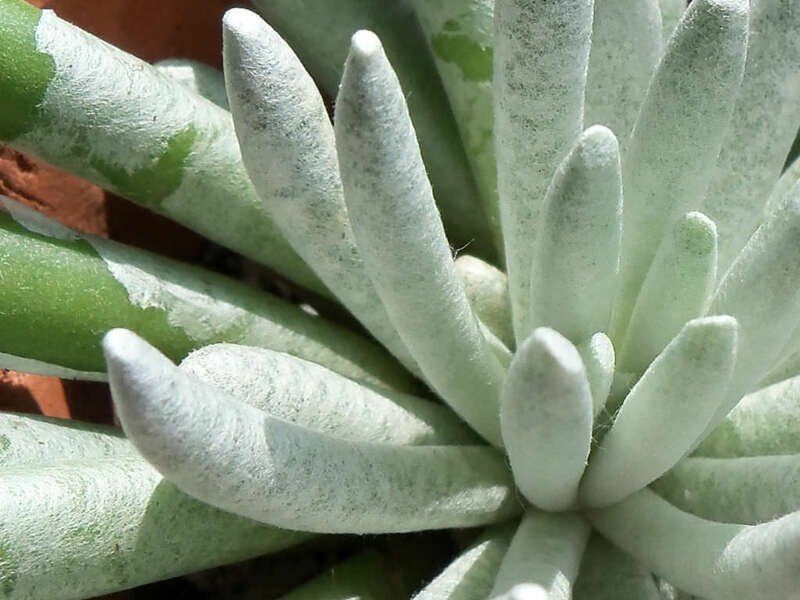 Established Senecios are extremely drought tolerant. 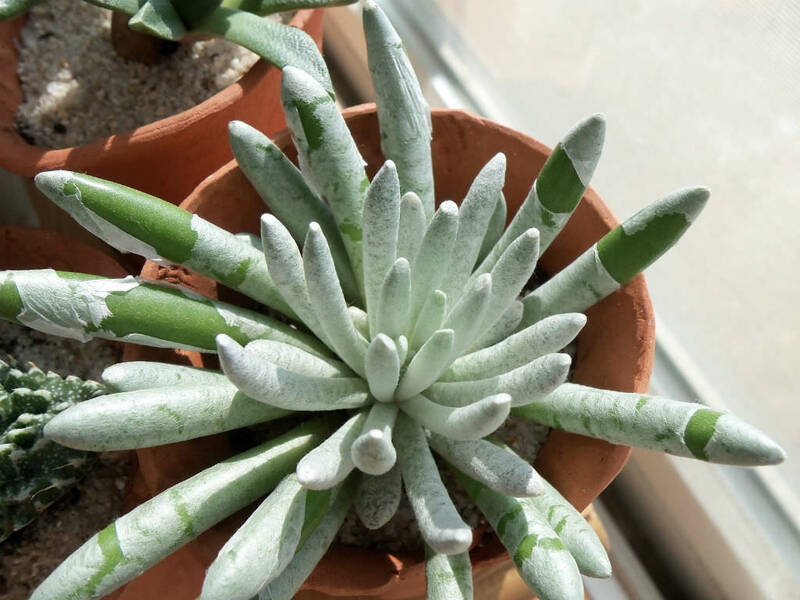 They do need some water, during the summer, but do not leave the soil wet for prolonged periods. 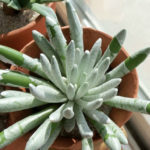 Allow the soil to dry out between waterings in winter, when they are somewhat dormant. Since they are growing in sandy soil, nutrients will need to be replenished. Fertilize annually, but lightly. Too much fertilizer will cause a lot of leggy growth. 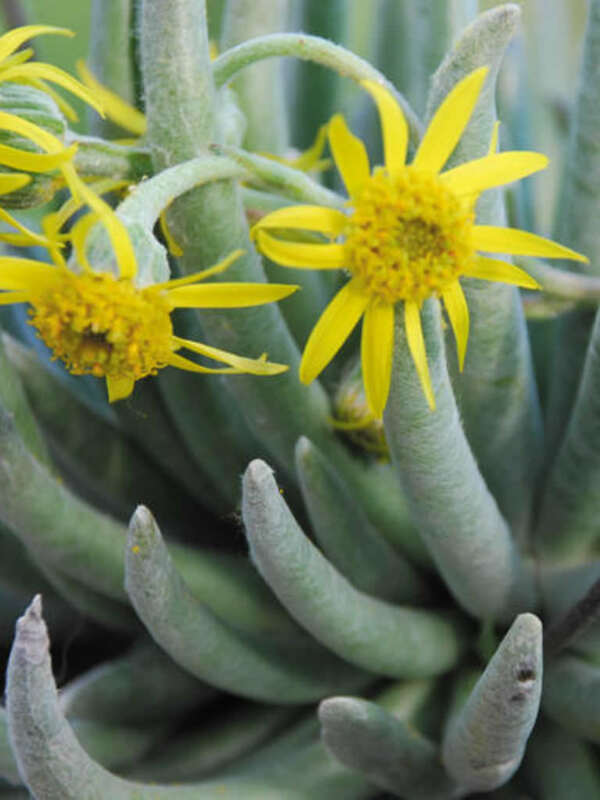 Senecio scaposus is native to South Africa (Little Karoo in the Western Cape to the Kei River in the Eastern Cape).